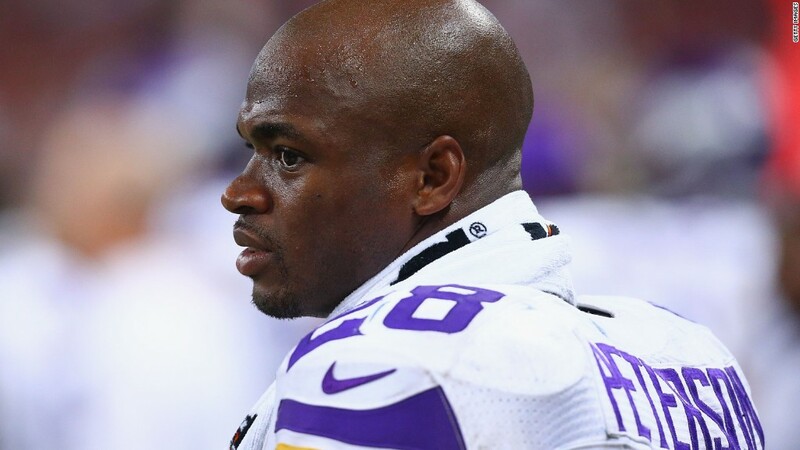 Child abuse charges against NFL star Adrian Peterson will keep him off the field for the foreseeable future, but that won't stop his checks from arriving. The Minnesota Vikings have banned him from team activities while he deals with charges in his home state of Texas that he injured his four-year old son while disciplining him. But unlike Ray Rice, the former Baltimore Ravens running back caught on a video knocking out his then-fiancee, Peterson has not been suspended by Commissioner Roger Goodell. So he will continue to get paid. Peterson's salary this year is $11.75 million, which comes to $691,176.50 a week during the course of the 17-week NFL season. He signed a six-year, $86.3 million contract before the 2011 season. Peterson, widely considered one of the NFL's best players, did lose one of his two major sponsorship deals when Castrol motor oil, a unit of BP (BP), announced Tuesday that it was terminating its contract with him. His other major sponsor, Nike (NKE), said it is "suspending" its contract with Peterson, although it did not say exactly what that involves. The value of those deals has not been disclosed. Rice lost $9.5 million in salary this year and in the coming two seasons when he was suspended indefinitely by the NFL last week. But he got to keep $25 million of the $35 million five-year contract, even if he never plays another game. Nike, which also had a contract with Rice, terminated that sponsorship last week.